We use more of our brain when we’re listening to stories. Learning that uses stories sustains attention, increases engagement and enhances memory. At our Storytelling in Learning event, we found out how stories impact our brains and bodies, and how to structure a story for maximum impact. 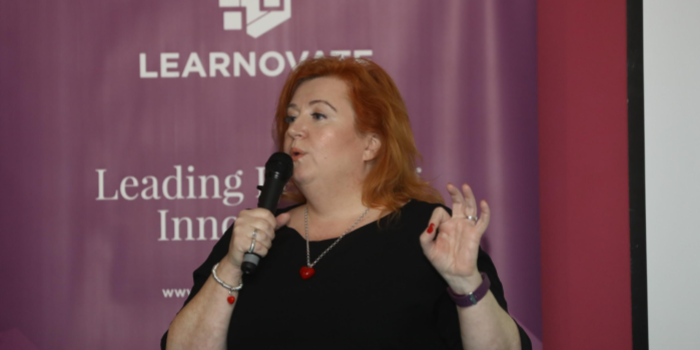 Learnovate’s Learning Sciences Researcher Paul O’Raw recently participated in the 2019 SOCIETIES BROKERAGE event in Warsaw, Poland. Corporate L&D: Where do we go from here? While historically L&D departments have sat under the remit of Human Resources, many companies have come to realise that learning expertise cannot be shoehorned into an organisation using traditional HR skills and backgrounds. https://www.learnovatecentre.org/wp-content/uploads/2018/08/Blog-image-02.jpg 628 1200 luciana medeiros /wp-content/uploads/2017/07/logo3.png luciana medeiros2018-08-27 15:17:392018-10-12 10:45:51Corporate L&D: Where do we go from here?